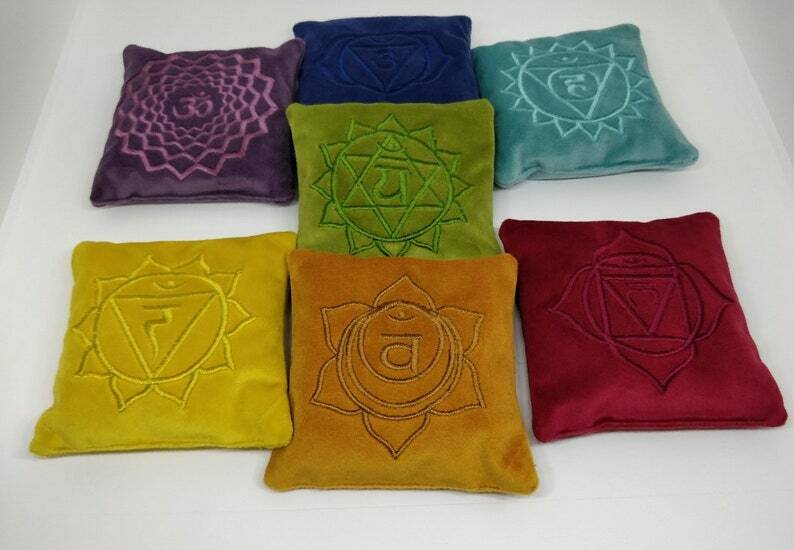 These 7 chakra pillows are color coded, embroided with chakra design for the correct chakras and include the stones that correspond with each chakra. Each pillow is carefully handcrafted and includes multiple seams, making them very sturdy, yet still flexible and beautiful. They are infused with mustard seeds.